After spending a bit of time planning our trip to Iceland and seeing different pictures of all of the most popular tourist destinations, I knew that Jökulsárlón Glacial Lagoon was an absolute must see. It's a long drive from Reykjavík (4-5 hours depending on weather conditions) but it is completely worth it even for a day trip. Across the street from the lagoon is the Diamond Beach and if you go on an organized tour, it will most likely include going in an ice cave - the Vatnajökull Glacier is very close to Jökulsárlón. So between all three sites, the day is worth it even if long. The Blue Lagoon is probably on everyone's list of things to do in Iceland. Since it's close to both Reykjavík and the airport, it makes it convenient to stop on the way to or from your flight but even if you don't go that route, it's easy to get to from the city and makes for a fun half day excursion. And everyone wants a picture from here right? Keep in mind that the water will definitely damage your phone or camera (as well as jewelry and hair if not washed after), so make sure to bring your go pro or keep your hands dry. You will regret not getting a few pictures here otherwise. 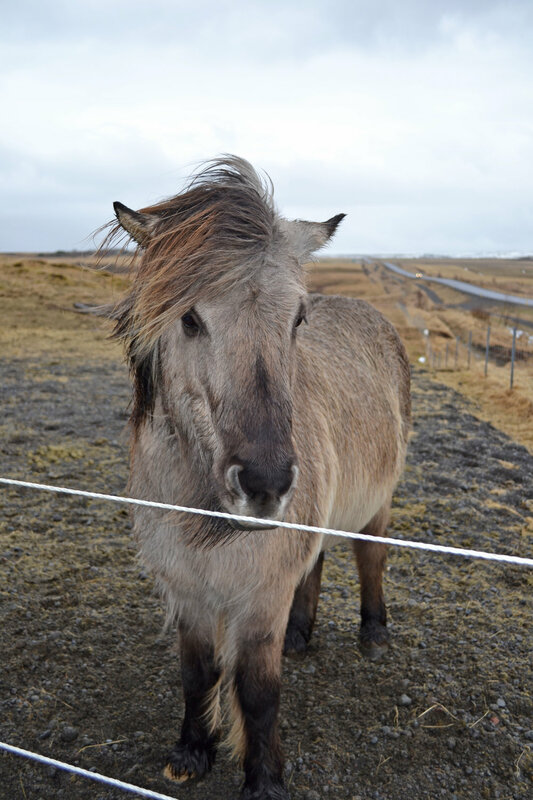 Ahh, the elusive Icelandic horse. These guys have gone viral on Instagram and it's easy to see why. They aren't the horses we are used to and they roam freely across the country. They'll even let you pet them. If you are doing a day trip to the Golden Circle, you'll most like see a group of them grazing near the road and most people will just stop the car on the side and get your shot right there!